Truss bridge, illustration. 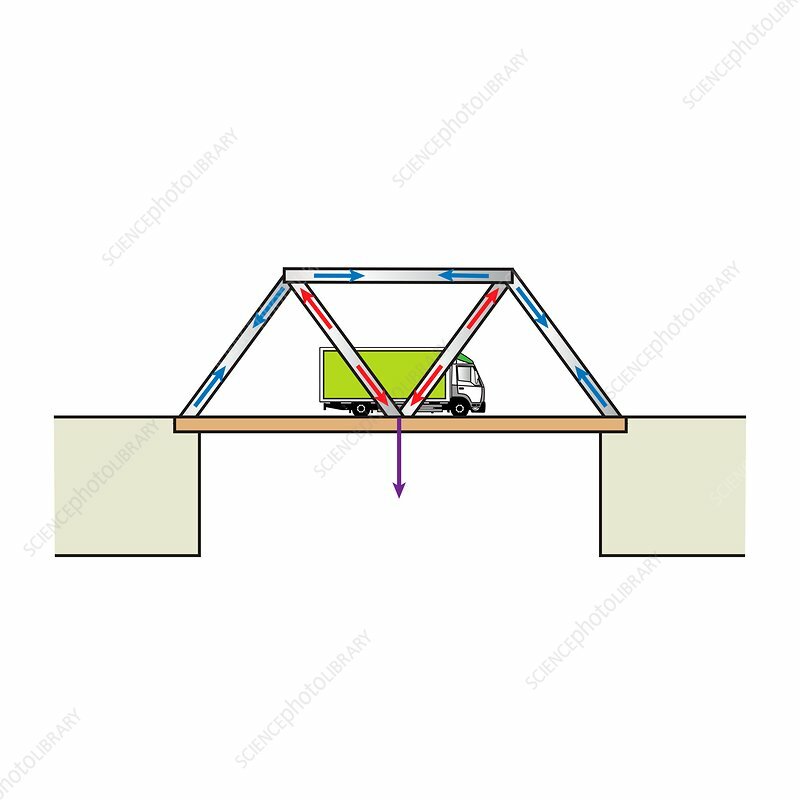 In a truss bridge, the load-bearing structure consists of a truss, a system of connectors usually forming triangular units. The connected elements may be stressed from tension, compression, or sometimes both in response to dynamic loads such as this truck. Blue arrows represent compression forces, red arrows represent tension forces and the purple arrow represents the load.